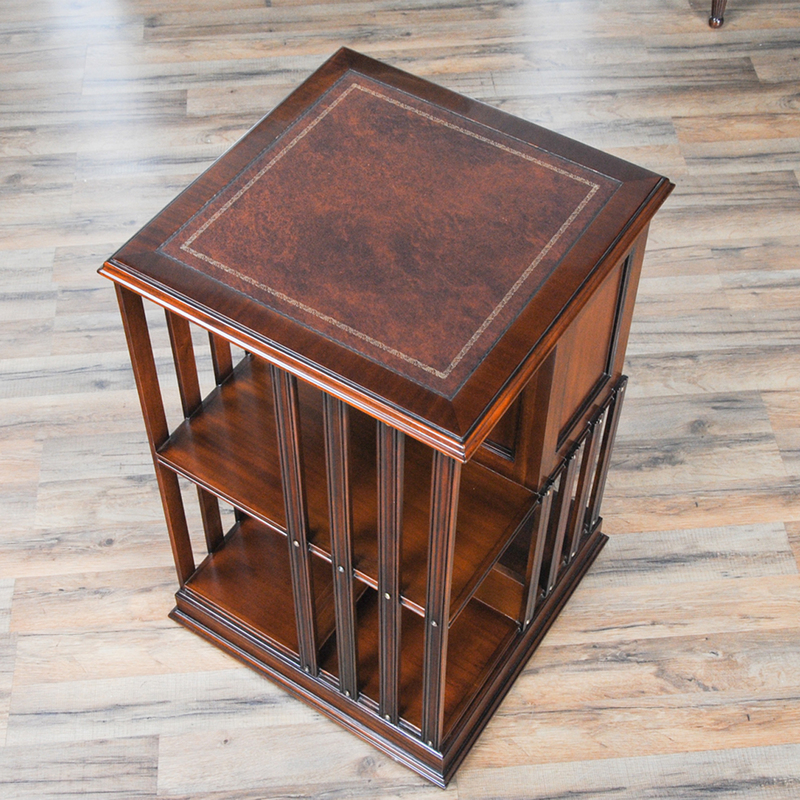 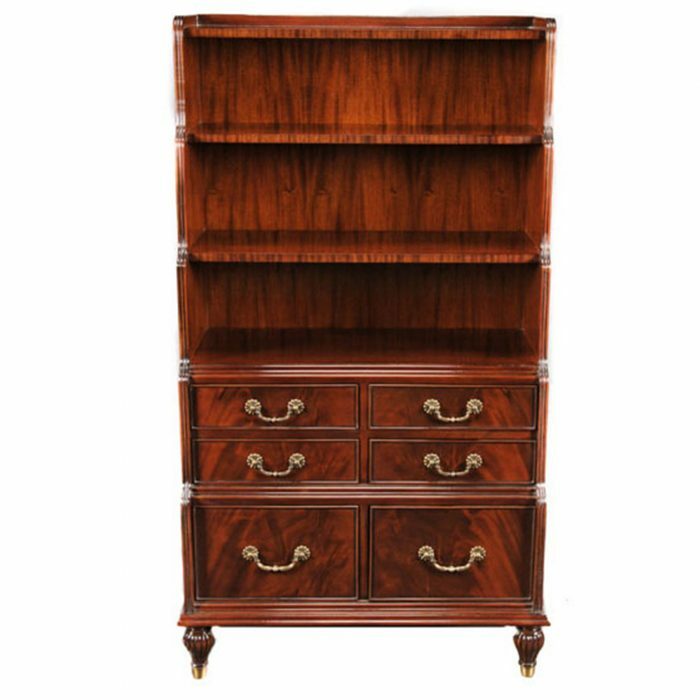 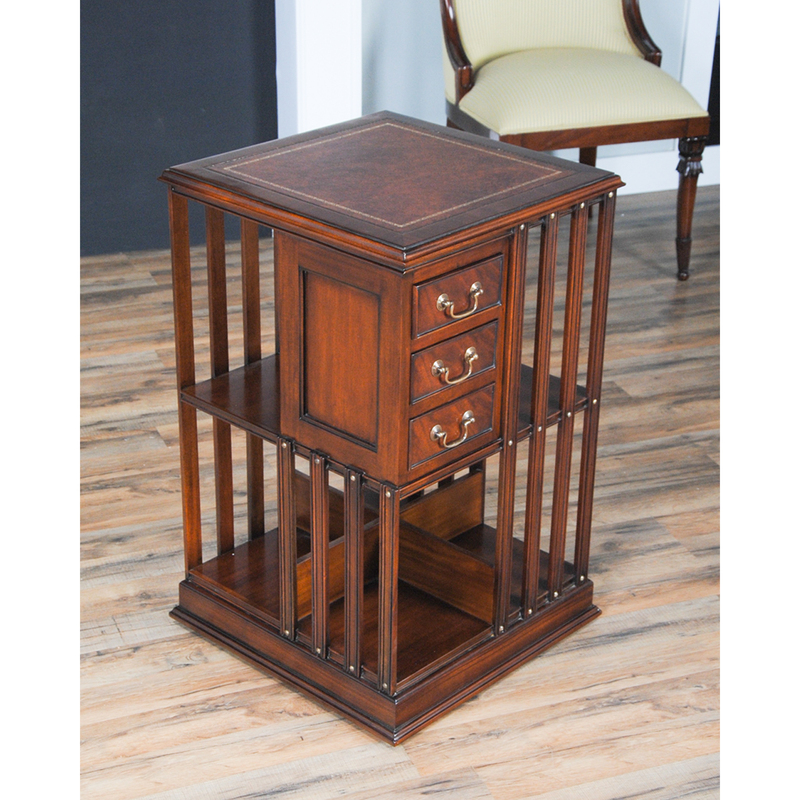 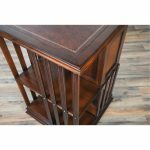 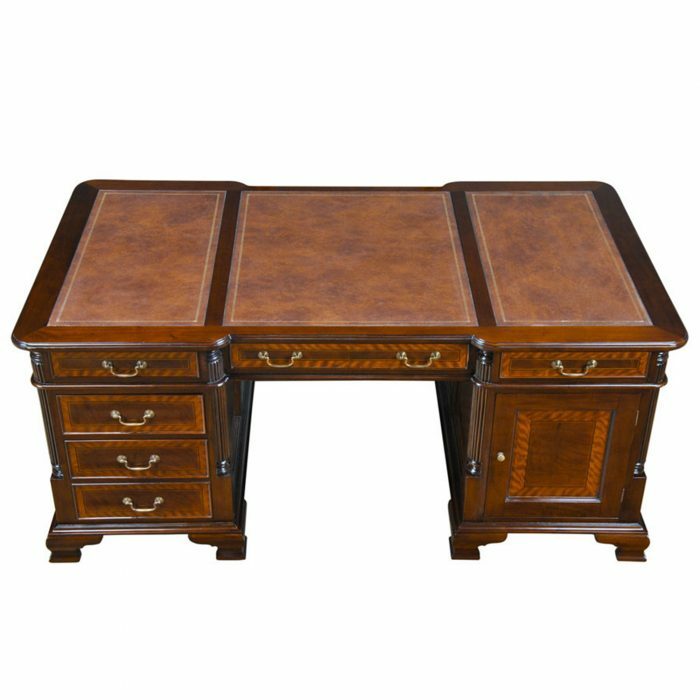 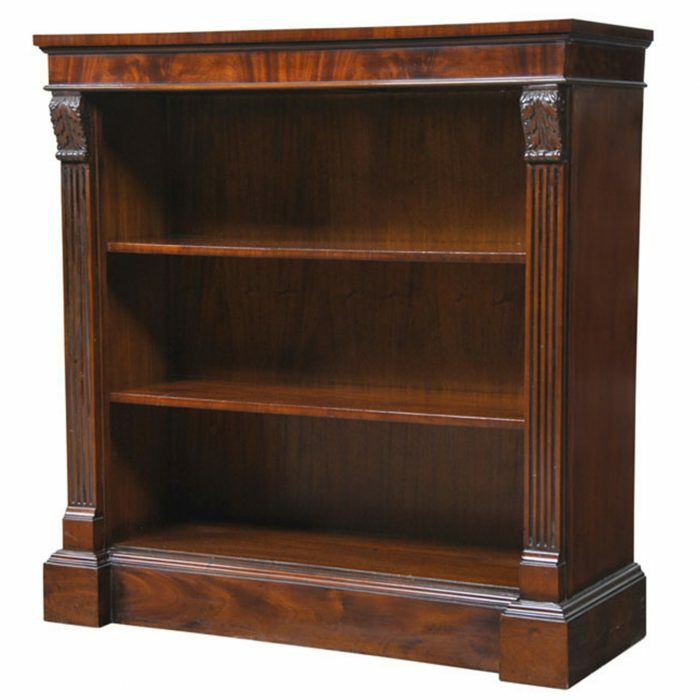 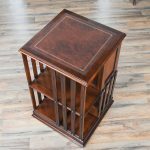 A Leather Top Revolving Bookcase from Niagara Furniture with full grain leather top with a shaped molding surround, over top three dovetailed drawers and numerous supported storage spaces, all accented with brass headed screws and hardware. 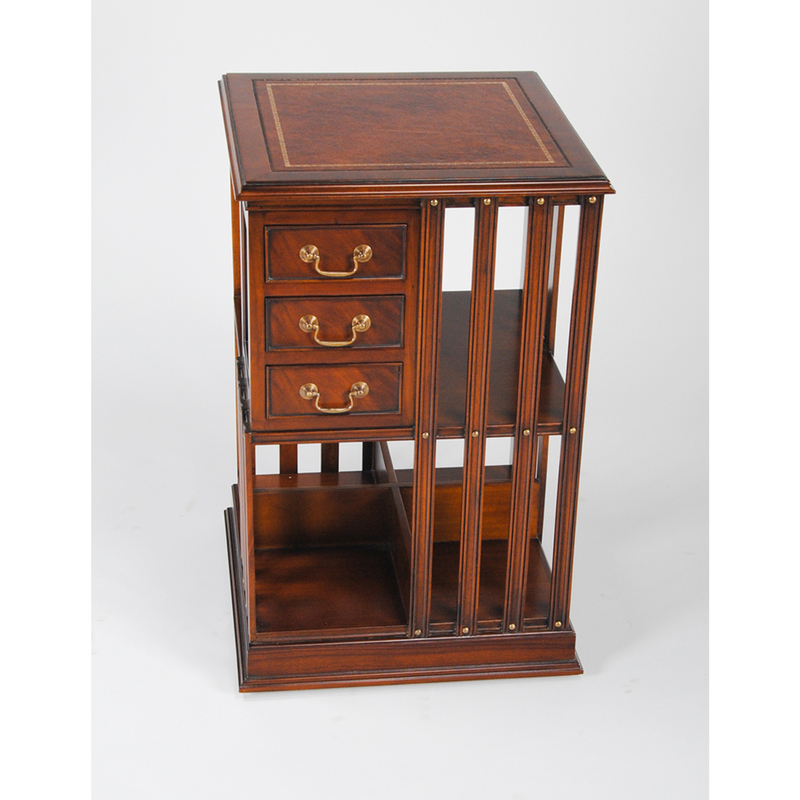 The entire piece is set on a mechanism which allows it to be rotated with the touch of a finger. 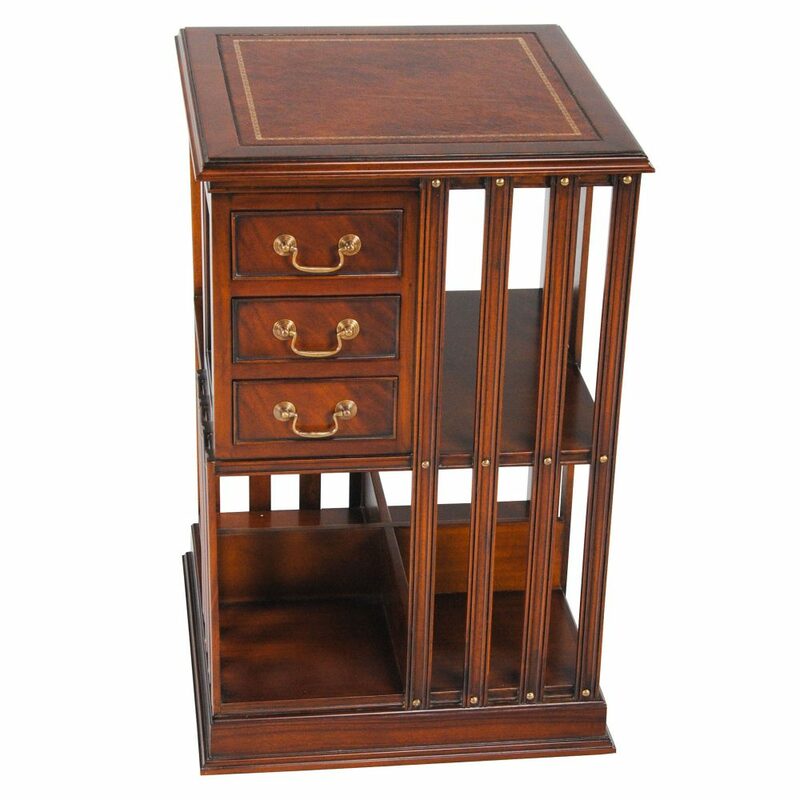 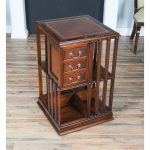 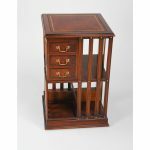 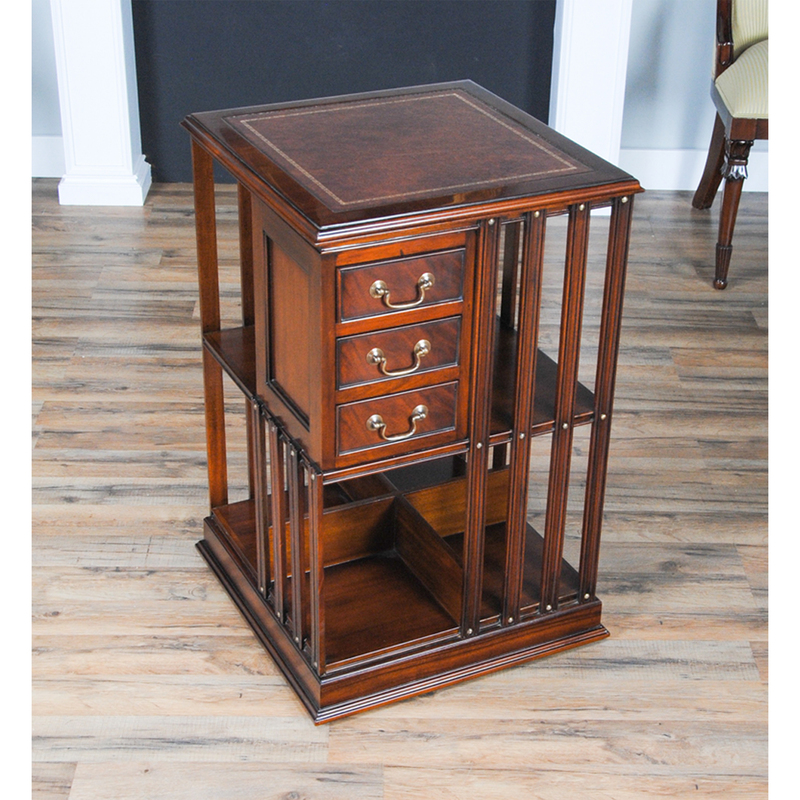 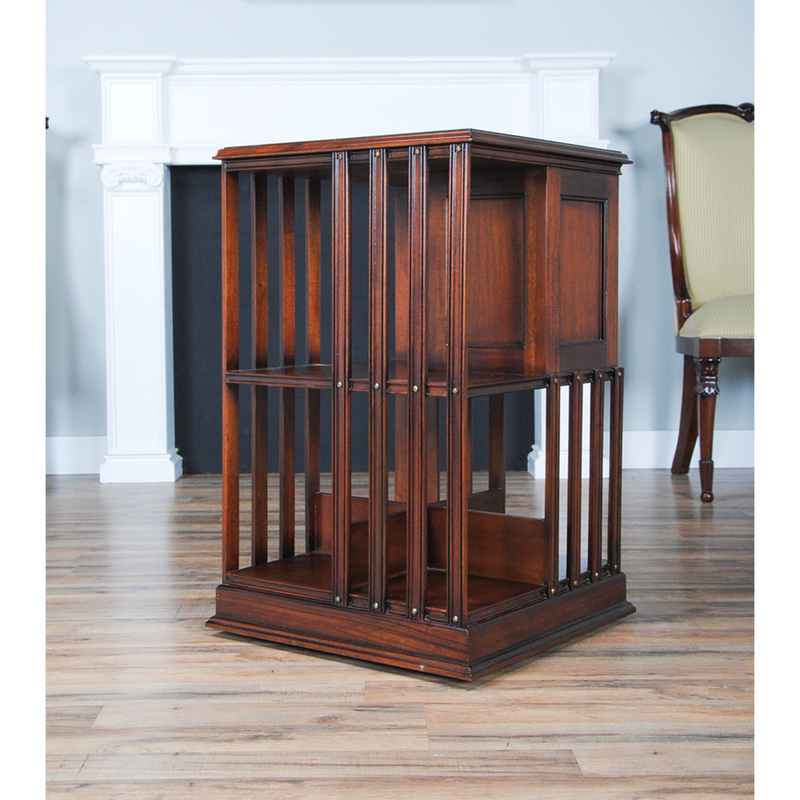 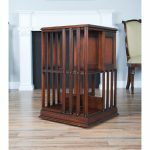 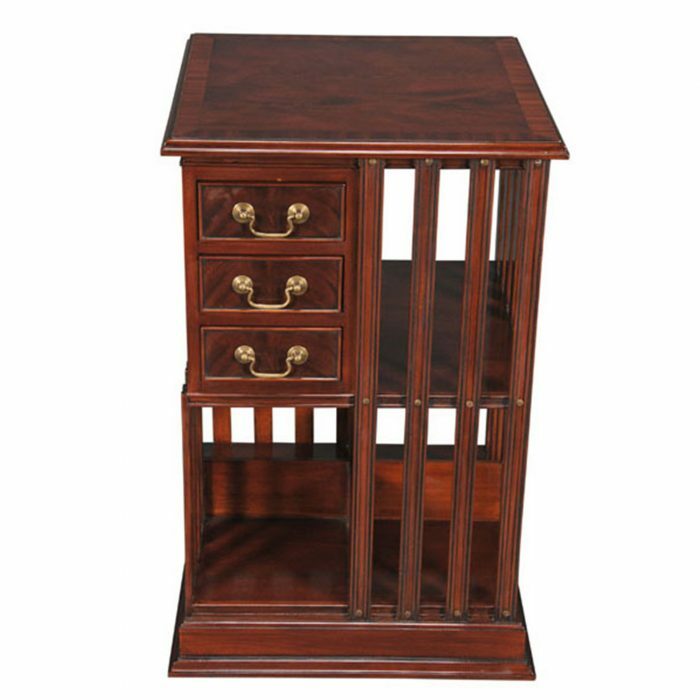 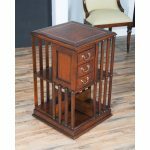 One of the niftiest pieces in the Niagara collection of furniture, a great addition to any home.